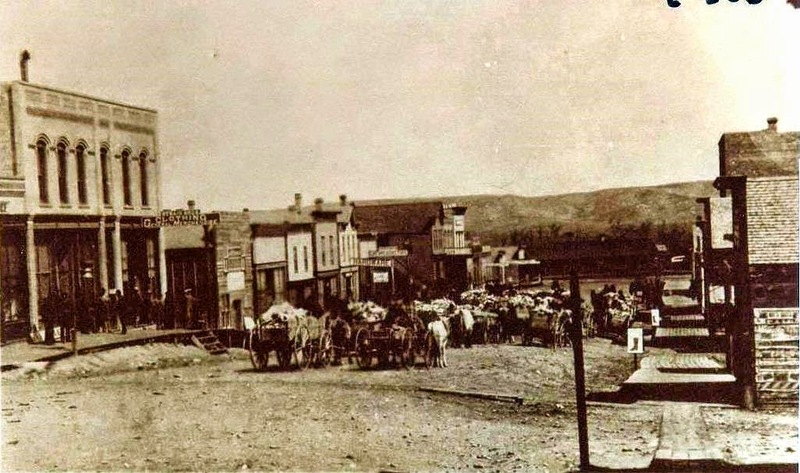 In the picture of Main Street in 1890 the teams of wagons belong to local Indians and are filled with buffalo bones which were traded to merchants for groceries and other merchandise. The bones were taken to a railroad spur and eventually shipped to St Louis to be used in refining sugar. The bones were worth ten to fifteen dollars a ton. The small building on the left is the Post Office. Next to that was the office of J.B. Rourke, Justice of the Peace. The taller building was a drug store owned by W. E. Mansfield. 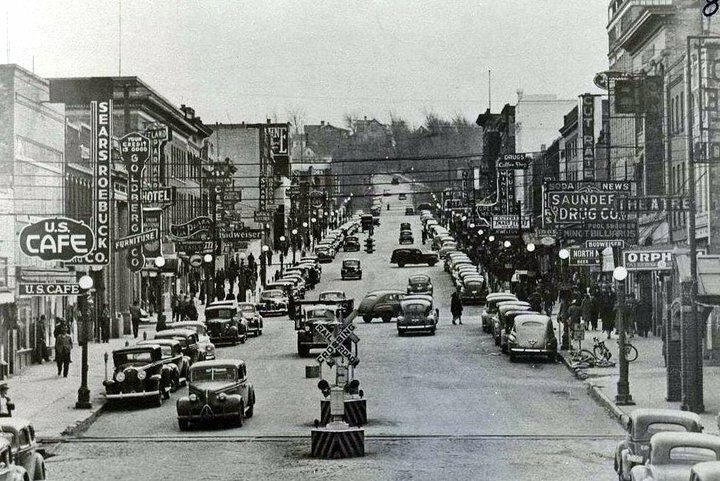 This is the intersection of Main Street and 1st Avenue. The two story brick building was a large general store owned by the Strain Brothers. North of Strain Brothers was John and Peter Eher’s meat market. The original Jacobson Hardware was a few doors down the street and at the end of the street is the Great Northern passenger depot.